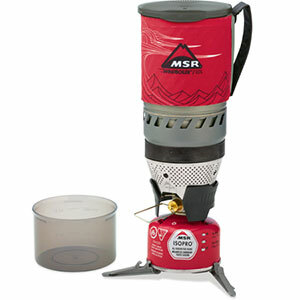 Visit MSR's WindBurner Group Stove System page. 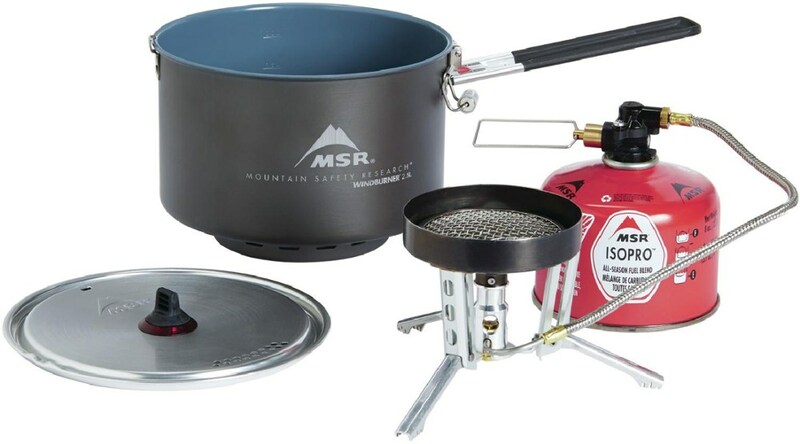 MSR WindBurner Camp Stove Group System - For small groups with big appetites MSR WindBurner Camp Stove Group System is your go to. The included 2.5 L Sauce Pot is ready to feed 2-4, while the stoves enclosed radiant burner, built-in heat exchanger, and internal regulator, ensure a delicious meal in minutes - even in the stormiest of conditions. 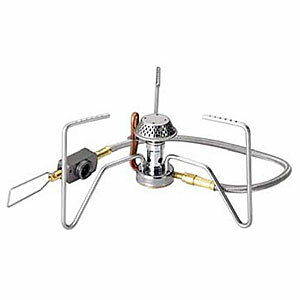 MSR Backpacking Stoves Windburner Group Stove System 10367. The windproof and pressure-regulated stove system features a 2.5 L sauce pot for 2-4 people to share a simmered feast and the pot's ceramic-coated surface offers nonstick performance and easy cleanup. The stove is optimized for all WindBurner cookware allowing for a range of cooking styles. 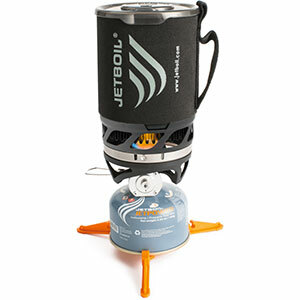 The compact system nests perfectly inside its pot without rattling to keep packs quiet on the trail. Experience the WindBurner Stove System Collection. Windproof Performance: 100percent primary air combustion enclosed design & internal pressure regulator work together to maintain performance in windy and cold conditions. Multiuse: 2.5 L ceramic-coated nonstick sauce pot (serves 2-4) features an enclosed heat-capturing ring for simmering and cooking versatility. Compact Nesting: Perfect rattle free nesting with an 8-oz MSR IsoPro fuel canister (sold separately). Stable: Self-centering pot fits WindBurner stoves' deep lip for increased stability. 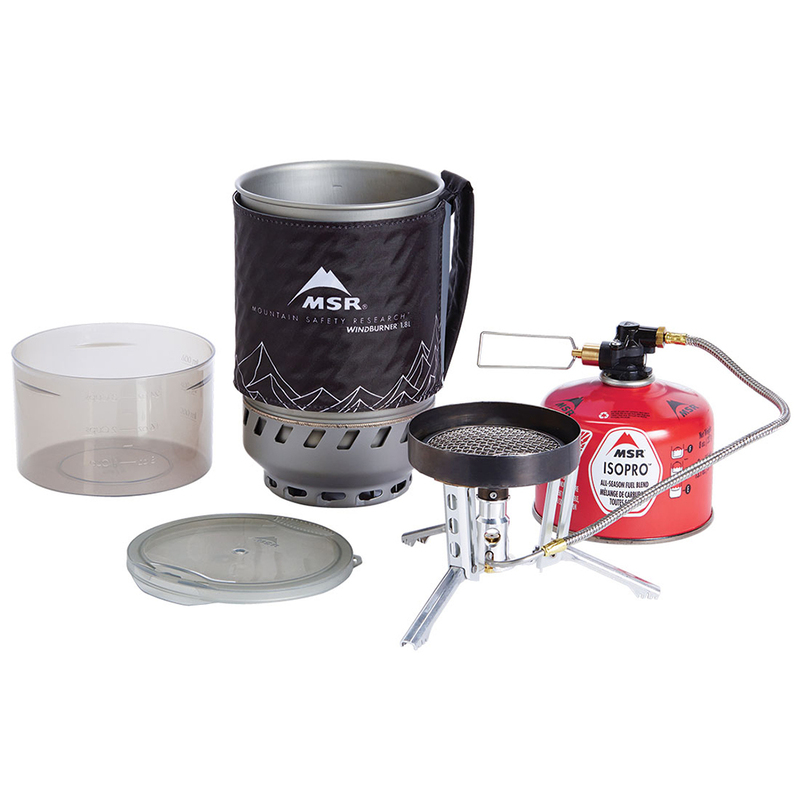 With a 2.5-liter sauce pot that's optimized for simmering, the windproof WindBurner Group Stove System is perfect for small groups and versatile backcountry cooking. Taking the family for a backpacking trip has its ups and downs, but at least dinner doesn't have to be one of the hitches. 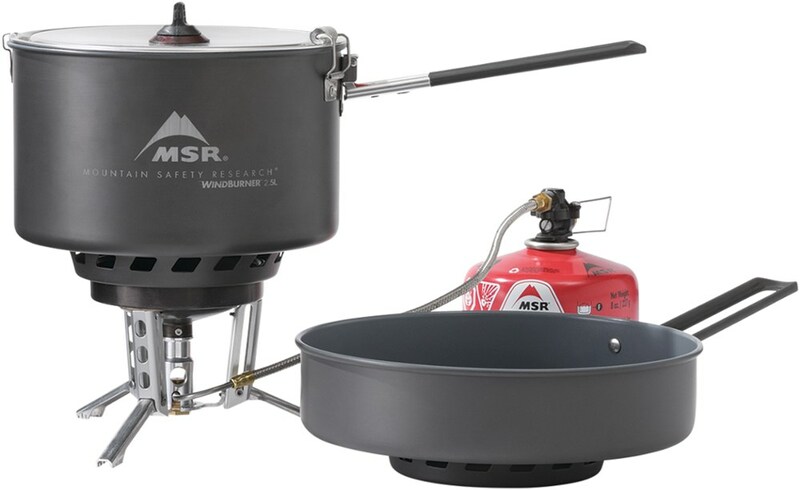 The MSR Windburner Stove Group System comes with a generous two and a half liter pot, so you can mix up anything from oatmeal to borscht with plenty to go around, and with precise control you can saute garlic, onions, or mushroom into your dishes before hand for enhanced flavor, or simply let your stew simmer without overflowing in a monstrous froth. Even if the valley you're camping in gets windy, the pot is designed to enclose the burner completely so nothing slows down dinner, and an internal pressure regulator keeps it running strong if temperatures drop. 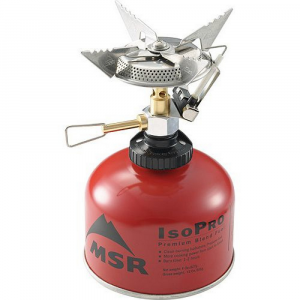 When its time to pack up and leave camp, the burner and 8oz MSR IsoPro fuel canister nest nicely into the pot for packing without even rattling while you hike.